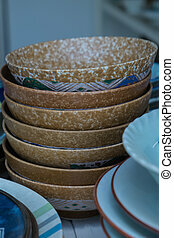 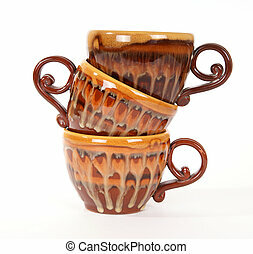 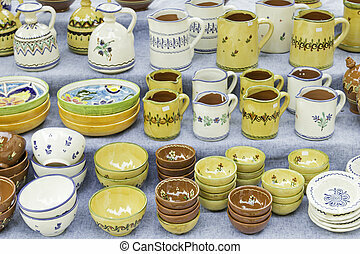 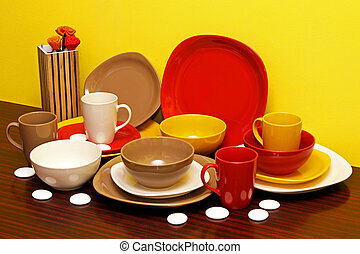 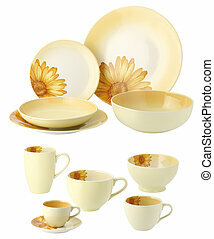 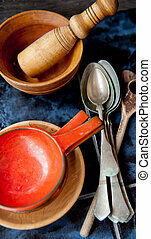 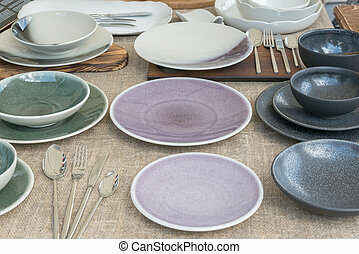 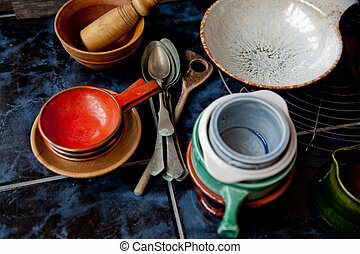 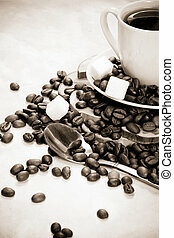 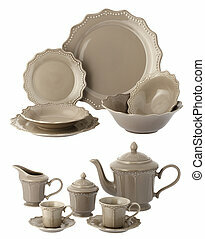 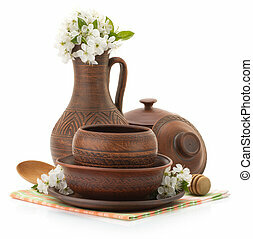 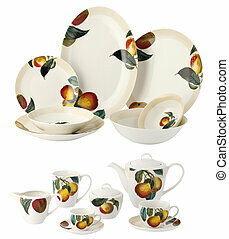 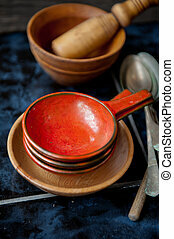 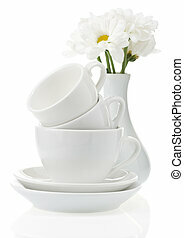 Ceramic plates and cups. 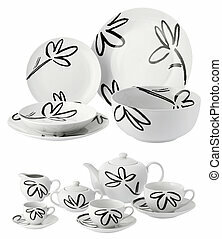 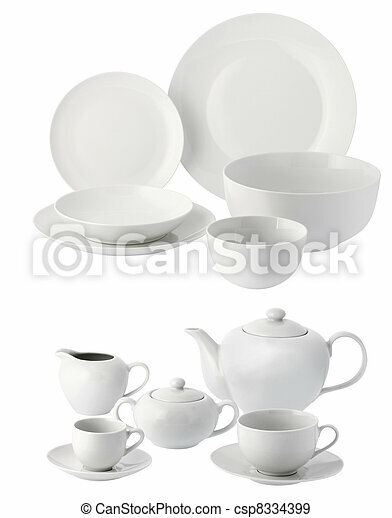 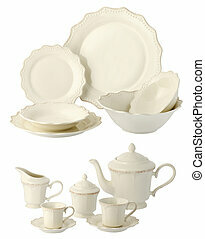 One set of dinner service in white ceramic. 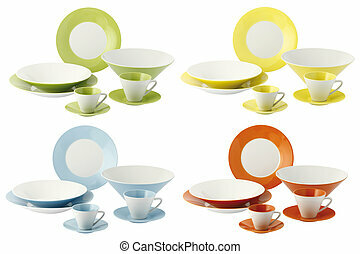 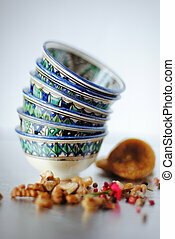 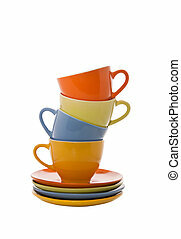 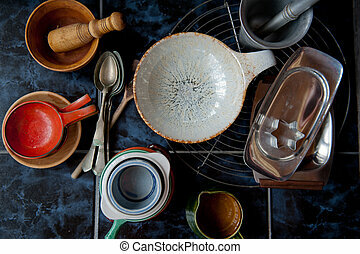 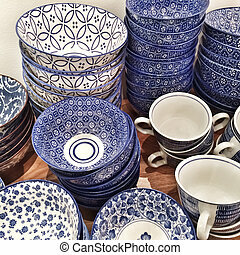 Collection of blue ceramic plates and cups.